Sturdy bronze base for rough water use. T-Handle for ease of operation. 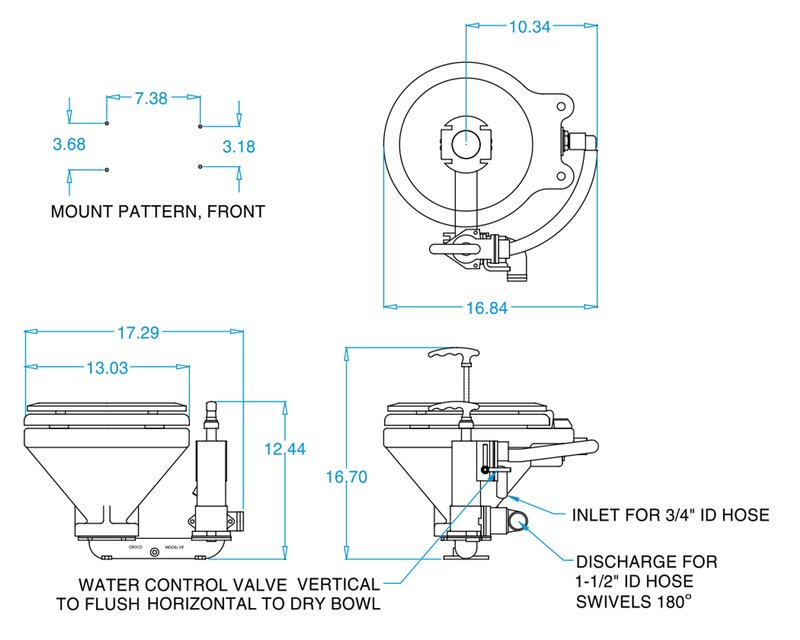 High-efficiency valve system uses minimal flush water. 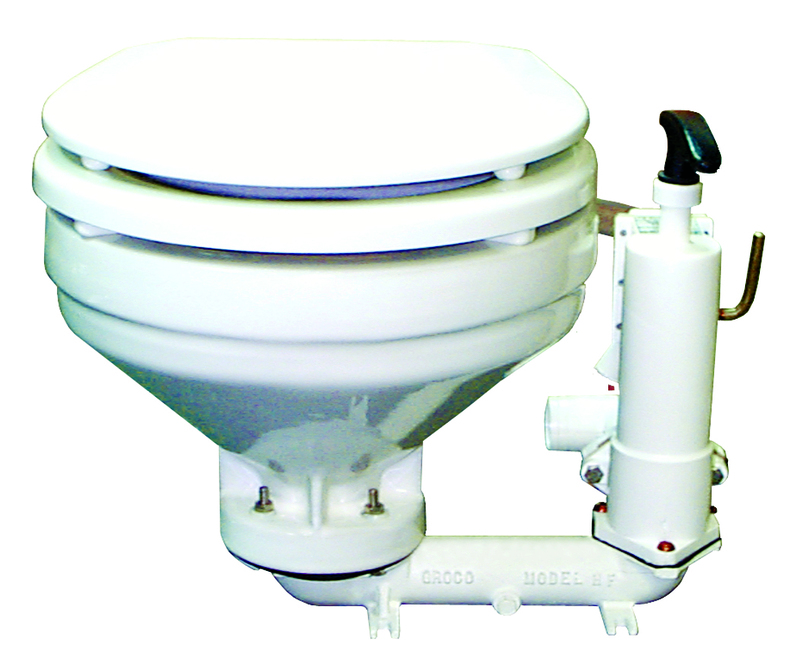 Save money by ordering 100-0001-00, the "SOME ASSEMBLY REQUIRED" version of our popular top-quality compact toilet. Assembly takes about ten minutes and requires just a flat-blade screw driver and a 7/16" open-end wrench. Order HF-B for an already assembled model.